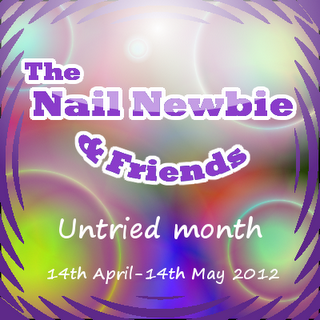 So I owe the untried month a few posts but as it has now past I'll just keep this as my last official untried post, although I seem to have so many polishes that most of my posts are untrieds! 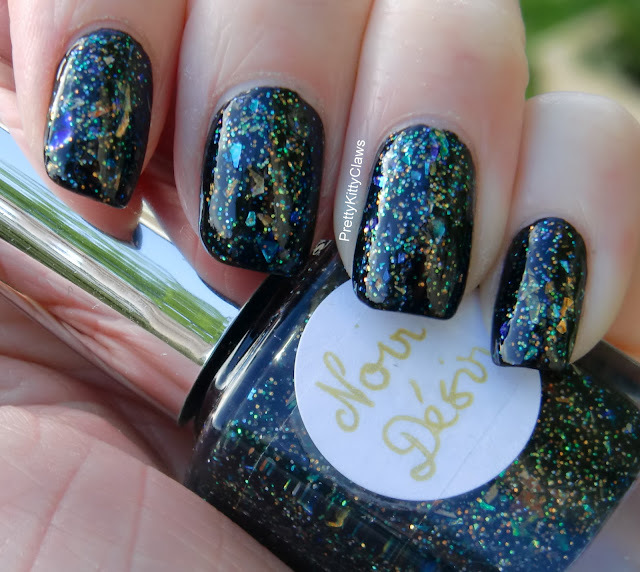 Anyway, today I have some awesome flakies to show you. 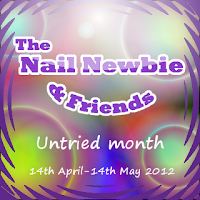 I was lucky enough to be able to purchase some beautiful flakie polishes from a blogger called Karine. 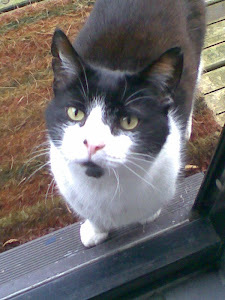 Many of you probably know her as she's very active on many of the facebook polish groups and she's an absolute sweetie! These polishes were originally made for her birthday club but we are lucky that she has offered them for wider sale. I picked up 4 of them and love them so much that I've ordered another 2 which are on their way to me now. Firstly I wore Oui, Je Le Veux. 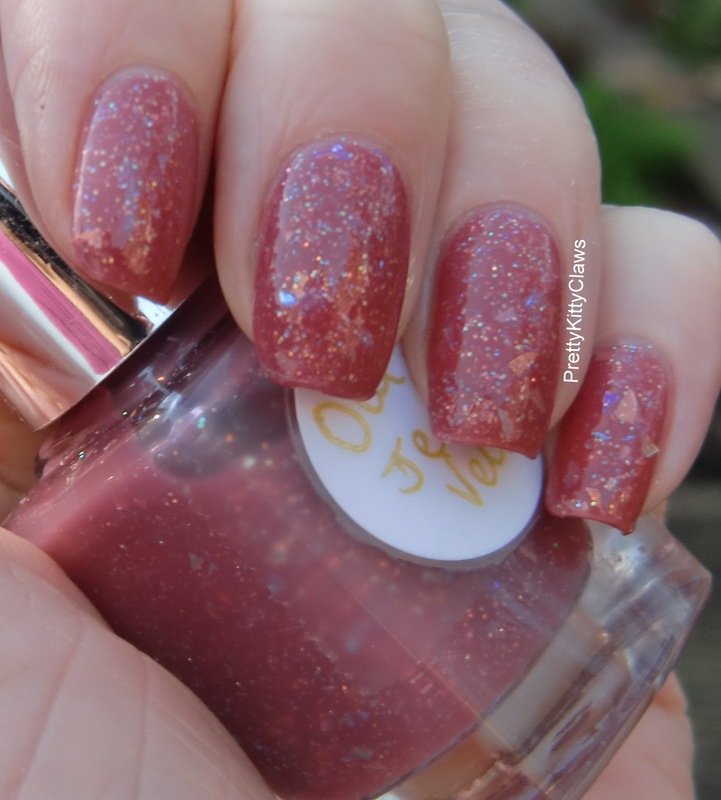 This is a kind of pink, coral, peach jelly with lots of flakies and a little subtle glitter. It would look great with a tan, unfortunately I don't have one but it was still extremely pretty! I wore 3 coats and there was a tiny bit of VNL which I didn't mind at all as it was so pretty, but if you did you could easily just layer it. I can't wait to get my next order in my hands (or should I say on my hands, lol), I've got Ooh La La and Romance a Paris on their way. 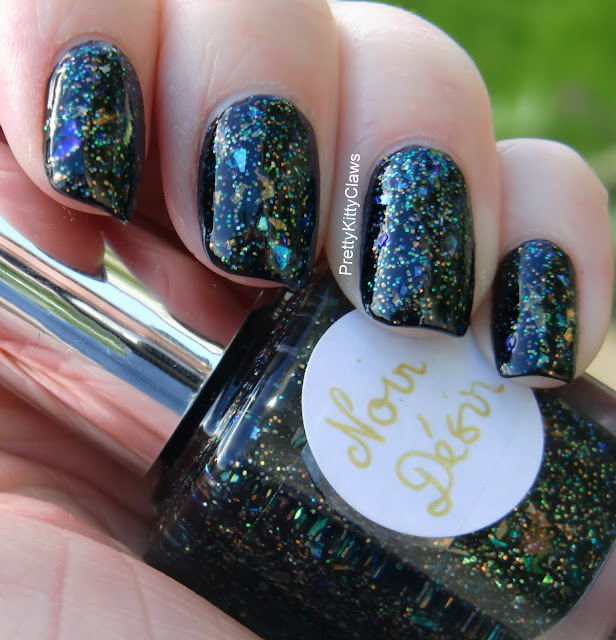 The Noir Desir looks almost like a galaxy mani without much effort. Absolutely gorgeous! Kristy, that is exactly what it looks like. What a great description!